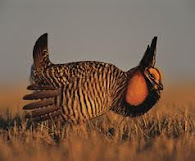 The Prairie Chicken: Joran van der Sloot: His Confession, or How can Dutch dweeb cause such international outrage? Joran van der Sloot: His Confession, or How can Dutch dweeb cause such international outrage? 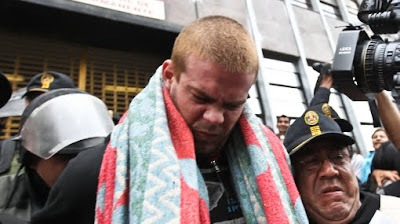 The above link is the Spanish version of today's article in Peru's El Comercio.pe, which gives a bit more detail about Joran van der Sloot's confession to police concerning the homicide of Stephany Flores Ramirez in room 309 of the Hotel TAC. According to “90 Seconds” noticieron (news station), the admission was offered by the Dutch citizen in the presence of an appointed counsel and with the aid of a translator who transferred the questions to him from the authorities in his own language. In agreement with the narration, van der Sloot and Flores Ramirez entered his room about 5:30 a.m. of day 30 May after playing in the Atlantic City casino. As van der Sloot recounted, he suggested to Stephany that they could play poker on the Internet and for that reason they went to his room. Then - he says he received an e-mail that said “I am going to kill you mongolito (retard)”, which referred to the murder of Natalee Holloway, the young American whom he also admits to have assassinated in Aruba in 2005. Next, van der Sloot spoke to Stephany about the case and he told her they had stopped investigating the crime. She - according to Joran - had a strong reaction and he gave her a blow with his fist on the left side of her head. The Dutchman states that he reacted by hitting her with an elbow, leaving Stephany “in a faint”. He said in addition that the reaction of Stephany affected him so much that he took her by the neck with the two hands and strangled her “in the space of a minute”. Later, van der Sloot left the hotel in Stephany's SUV, but after leaving the vehicle parked in Furrow, he approached a taxi that took him to Ica and another taxi took him to Arica. According to his testimony, he told both taxi drivers that "they" were accusing him wrongly of murder. Both of the taxi drivers are under investigation for having aided van der Sloot in leaving the country. Joran van der Sloot moments after rotten lettuce was lobbed at his head. You have to love the passion of the Latinos! The confessed killer of Stephany Flores Ramirez is afraid that he will be killed in prison for revenge. The coward is asking to plead to a sentence in Aruba in an attempt to escape the Peruvian prison system. He has offered to give up the location of the remains of Alabama student Natalee Holloway and while his motive has not been announced, it's my belief that he is hoping for a prison sentence in Aruba with his fathers old cronies and his mother to bring him cookies. Then in the mean time, Daddy's lawyer friends could figure out what to do with Peru. Dutchman asked to plead to sentence in Aruba: The Dutch citizen Joran van der Sloot expressed fear that "they" will kill him after being committed in the penitentiary of maximum security Miguel Castro Castro. “I do not want to be imprisoned in Peru. I am scared...”, said between sobs during the confession to Police. He is also said to have cried and wailed on the telephone with his mother, claiming he was badgered into making a confession. van der Sloot was transferred in an ambulance to the carceleta of Palace of Justice under much security and with a great amount of journalists.